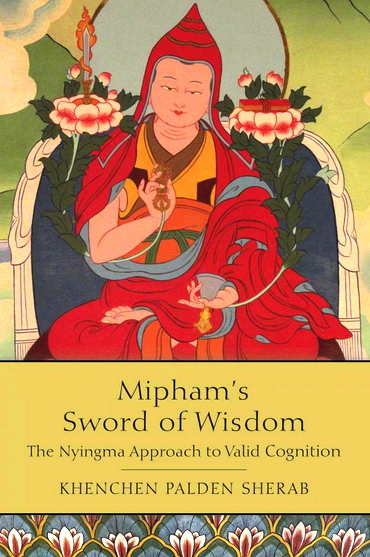 Mipham’s Sword of Wisdom explores the Nyingma-lineage understanding of valid cognition in Vajrayana Buddhism. This translation, a clear and concise primer on higher realization through valid cognition in Buddhist philosophy, presents these ideas in English for the very first time and includes the sutra presentation of the two truths and the tantra teachings of the two truths as the purity and equality of all phenomena. Get the complete Tibetan text of Mipham’s Sword of Wisdom, excluding the Tibetan that was added from Khenchen’s handwritten annotations, by clicking on the download button to the left. Get the complete Tibetan text of Mipham’s Sword of Wisdom, including the Tibetan that was added from Khenchen’s handwritten annotations in the margins of his paper copy, by clicking on the download button to the left.